Winemaking is a farm to table undertaking – you start off a farmer and your end product is wine. 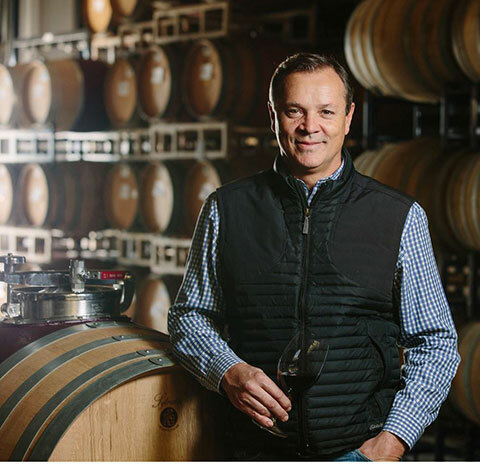 Michael is a sixth-generation winemaker. Since 1996, so just over 20 years. I grew up on a vineyard in the Barossa Valley in South Australia. I’m a sixth-generation winemaker in my family, so it was natural for me to be in the wine industry. I tasted Henschke’s Hill of Grace, a Barossa Valley Shiraz, when I was young and still remember it to this day. I have always admired Joseph Phelps wines because of their consistent quality. No matter the vintage or winemaker, you always know that bottle of wine is going to be great. Finalizing a blend is rewarding, and all the steps it takes to get there. It’s such an interesting job. Winemaking is a farm to table undertaking – you start off a farmer and your end product is wine. There are two ways to go with this. If I take the famous winemaker route, I think of legends like Robert Mondavi and the great winemaker of Australia, Peter Lehmann. If I take the celebrity rock star way, I’d choose John Lennon, Steven Tyler and Ronnie Van Zant. If you want to be a winemaker, make sure you want to be a farmer. Winemaking starts on the farm. I rode Quarter Horses in the Youth Nationals in Australia. This was Western style riding, the real McCoy.